I know, this looks pretty unusual for ratatouille recipe. I just did not have any other stew pan to cook it in. As you may see, I was out of one of the essential ratatouille ingredients. That is sweet pepper. So, I had to do without it. First, I cut egg plants in half and left them soaking in salty water. Then I boiled chicken broth, added few garlic cloves, few mushrooms, 1 onion and few pieces of chopped carrot. I also added some salt and black pepper. Once the broth got ready, I blended it. 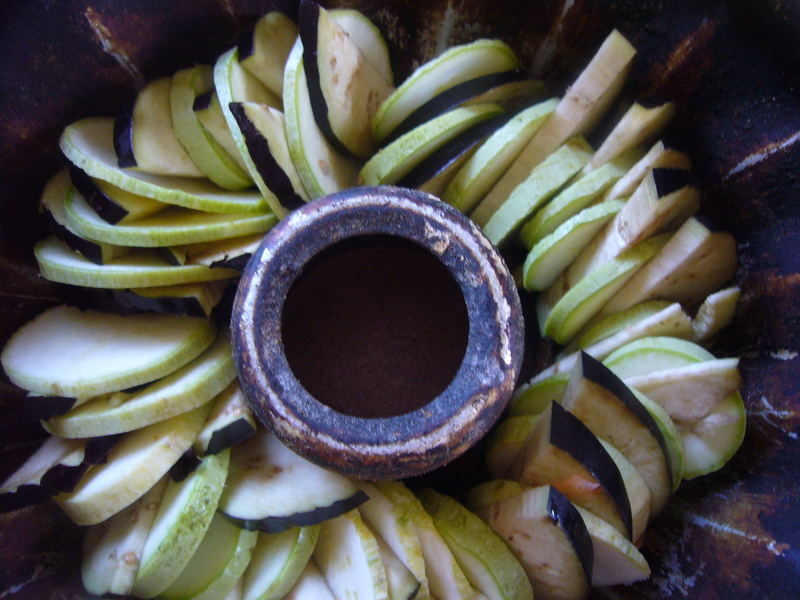 Next, I sliced squashes and egg plants and placed them into a stew pan. As you may see, I have made pretty thin slices and interlaced egg plant ones with squashes. 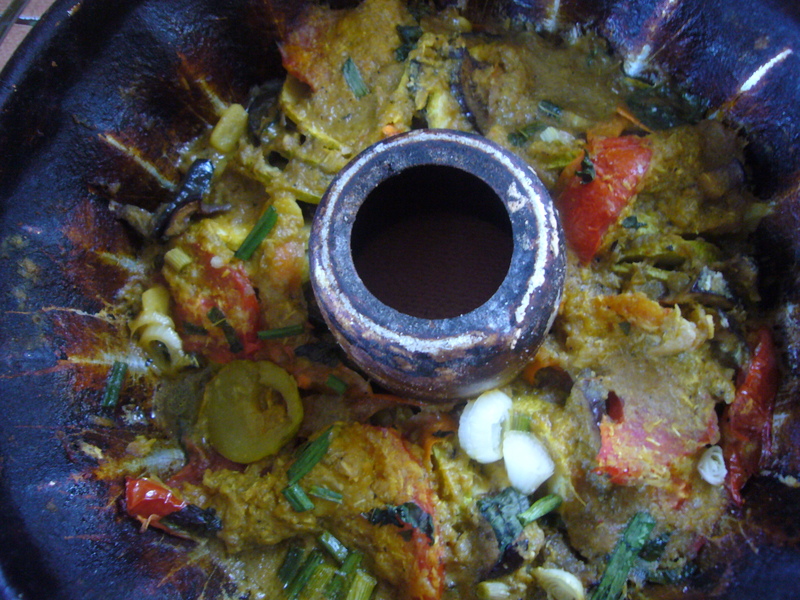 I have poured in some vegetable oil, added sliced tomatoes and sliced garlic cloves. Then I placed the pan into the oven. I let it stay there for some 20 min for the veggies to get a bit fried up. Then I poured in the broth. Finally, I added some greens (chopped green onions) on the top and turned the heat down. I have also added some coriander seeds and curcuma to my Ratatouille. 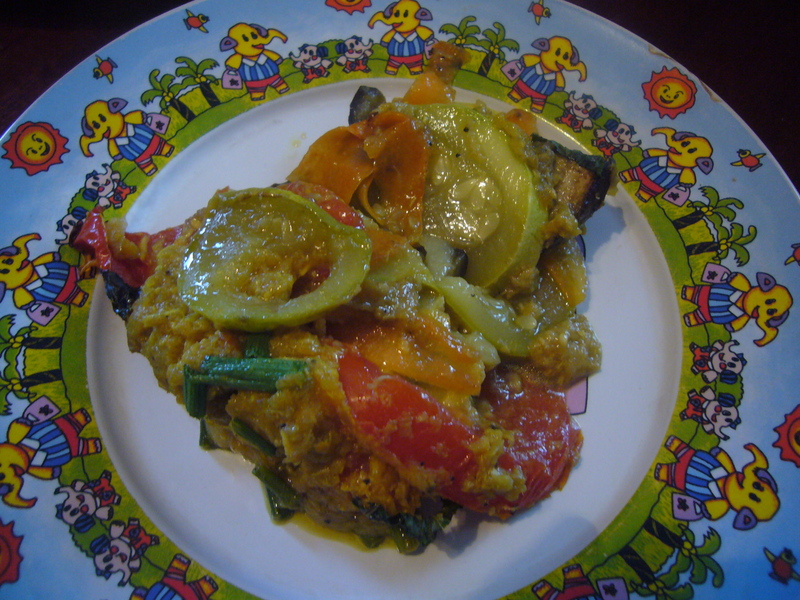 This entry was posted in Easy Recipes and tagged breakfast recipe, busy moms, cooking, cooking tips, easy cooking, easy recipe, egg plant, food, healthy food, Ratatouille, Ratatouille recipe, recipes, squashes, tips for moms, vegetable food. Bookmark the permalink. I think this is a new rock star duet to my life.Thanks for the recipe. I think this could work so well to my taste.